Junkadelic breaks away from wasteful trends by re-envisaging “Junk” as a resource for making instruments and applying it in a form of “Edu-tainment”, showing what is possible with a little imagination. Junkadelic approaches this with a view to connect the rhythm in your body to your mind. Junkadelic workshops are perfect for schools, community groups, and festivals, and can customised to suit any occasion! Funk & Soul music is more prevalent than ever before, heavily influencing many of today’s major artists including Bruno Mars, Justin Timberlake & Beyonce! Our 9-piece workshop will produce a uniquely accurate live Funk/Soul sound with a modern flavour. To find out more about how you can book Junkadelic to do a workshop for you, get in touch with us via the 'Contact Us' section of this website! Our ‘New Orleans’ workshop is aimed at participants of all ages, and is geared towards providing an insight into the history of American popular music with a trip to where it all began! This 6-piece ensemble will provide an original New Orleans inspired sound whilst explaining why the music of ‘The Big Easy’ has been so influential on the popular music of today. If you think that this workshop sounds suitable for you, let us know via the 'Contact Us' section of this website! This 3 Piece Rhythm Workshop is an introduction to the heart and soul of all music from around the world. Our 3-piece workshop aims to provide participants with an understanding of the different rhythmic signatures from some of the world’s most influential musical cultures and how those rhythms are still present in the music of today. Feel like that would be a perfect fit for you? Reach out to us via the 'Contact Us' section of this website! "Armadale Youth Resources (AYR) is a not-for-profit, community based organisation which strives to respond to community needs through a variety of tailor made programs such as school holiday programs, after school activities, school based early intervention programs and an extensive range of music and the arts events aimed at “at risk youth”. 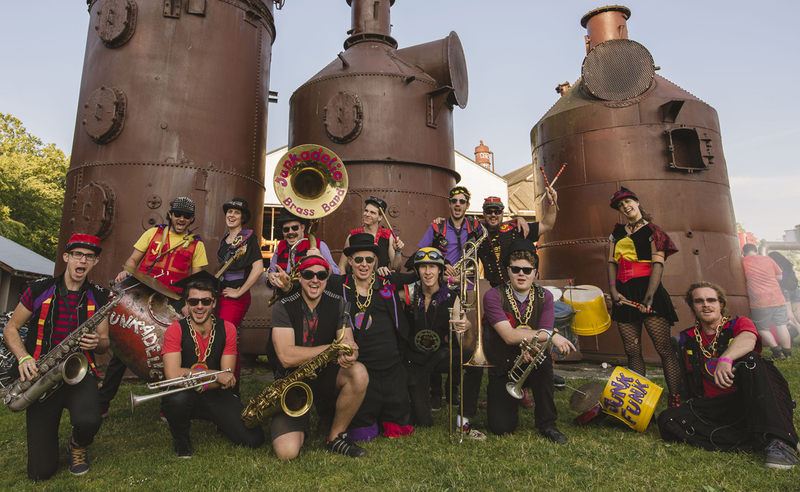 Recently AYR was lucky enough to enlist the services of the Junkadelic crew to deliver and run a very successful school holiday program – RAMPED, that dovetailed into a showcase of youth activities and performances for the City Of Armadale. Through their energetic and inclusive workshops, the Junkadelic crew were able to connect and engage the young participants in a way that meant that their attendance was consistently high and their enthusiasm rose with every workshop till the final performances. For a small organization with only a few workers, being able to “let go” and trust that someone else can cover all aspects of the 3 month long program, which included a fair bit of tailor making to fit, was a fantastic experience and we at AYR would jump at the chance to work with Ken Allen and his Junkadelic crew again." Testimonial by Mal Osborne – Specialist Music Program Co-ordinator – Armadale Youth Resources Inc.